Just add a couple of zeros... Motivation at it's best! 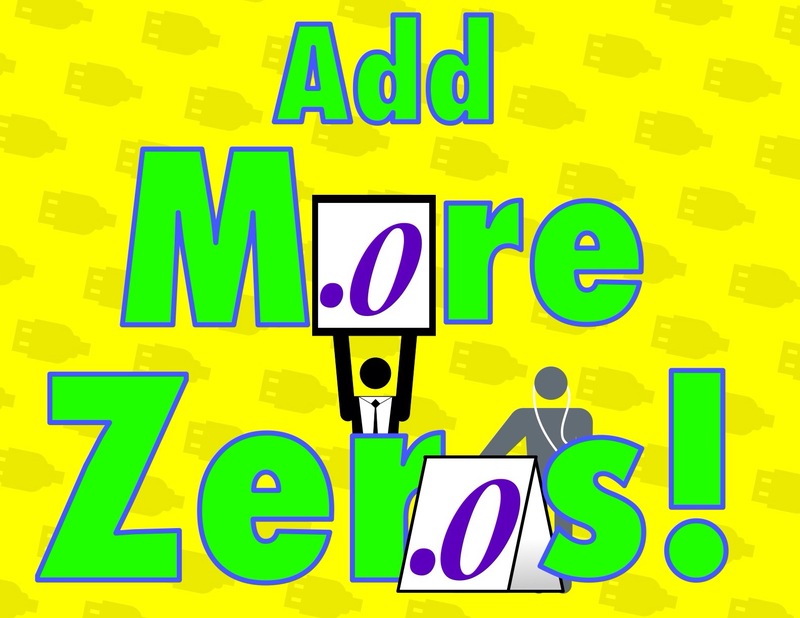 Just add a couple of zeros… Motivation at it’s best! When you begin the enrollment process for college you focus on your major. The courses you choose are aligned (or should be) to help you achieve the goal of graduating with a degree in the field of your choice. I can’t speak for all people; but most tend to pay attention when they know they’ve invested money into achieving a goal. This is why college students tend to pay more attention to their grades than a high schooler would. Likewise if you understand the investment that you’ve made in your business, you should match that investment with your time in order to reach the outcome you desire. The Answer: I really believe it’s far simpler than some might assume, just add more Zeros! Why? : During the process of using an online course, the number of distractions (news websites, social media, and videos, etc.) that will completely deter you from accomplishing the initial task you logged online for in the first place is ENDLESS! Also it can contribute heavily to your inability to focus and finish most web based material. Instinctively when a course or program has a high price tag we value it differently. The same way that you make a tuition payment for college, you are very aware of this event. When $1.99 is deducted from your PayPal account, for a course you found on sale and thought looked interesting, it isn’t really an eyebrow raising moment. You have more respect for a degree vs the web based certificate. Why? Because there is a greater monetary investment involved. I know it seems silly, but it really is that simple. To avoid purchasing the “sale” products you never plan to utilize…try adding some zeros to the amount that you invest in yourself! Even if you have already purchased it… I’m betting a couple of zeros will help motivate you to get through to the end.